Secure a Tel Aviv holiday package on Expedia today! This is one of the simplest ways of saving time and cash for your amazing holiday. Earn savings of up to 15%* when you book a package deal on Expedia. With us, you'll have more than 400 airline partners and 321,000 worldwide properties to choose from across the globe, which means your dream holiday is just at your fingertips! We've got all the sightseeing info you need for your upcoming trip to Tel Aviv. Grab your travel diary and prepare to start filling your itinerary. Take it from us, your bucket list is going to be much shorter after a trip to Tel Aviv! World-renowned attractions like Azrieli Centre and Carmel Market ought to be your first ports of call. Gordon Beach and the Habima Theatre also lure in crowds of adventurers from all corners of the globe. As you roam around marvelling at this city's sights, smells and sounds, keep your eyes open for the Eretz Israel Museum and the Museum of the Jewish People. These significant sights will no doubt be one of the highlights of your holiday. There's nothing more refreshing than the sound of ocean waves breaking along the shore. Roll out a picnic rug, lie back and let your soul be soothed at Frishman Beach. Travellers in this destination have heaps of options. Mingle with like-minded people and be inspired at one of the events or conferences held at The Israel Trade Fairs and Convention Centre. Still got some time on your hands? If you and your travel pals need a place to catch up and regroup, Dizengoff Centre is an ideal option. Chat over coffee and a snack and search the stores for that perfect souvenir. When we look back on our travels, we usually remember experiences rather than the size of our hotel room and the view of the pool. Ready to start creating some new travel memories? Check out the Tel Aviv things to do page for a complete list. 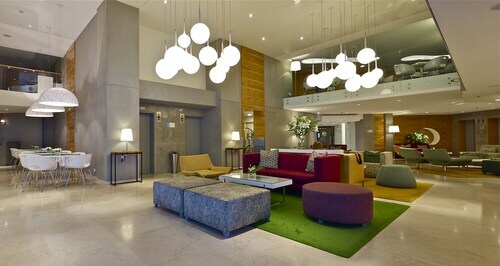 After a long day of exploring the sights in Tel Aviv, rest your head in one of 184 accommodations. The best luxury getaways and cheap holidays are just the beginning at Expedia. 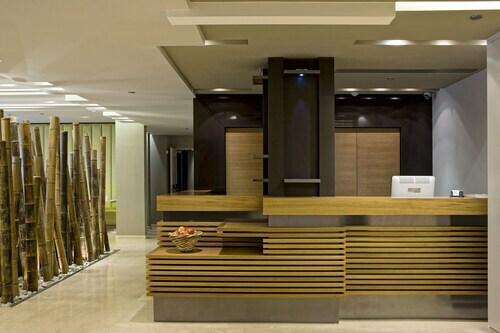 Tel Aviv's premier options such as the Dan Tel Aviv (99 Hayarkon Street) and the Carlton Tel Aviv Hotel (10 Eliezer Peri St) are bound to satisfy even the most discerning guests. If you don't fancy spending such big bucks, why not spend your evenings somewhere less expensive? 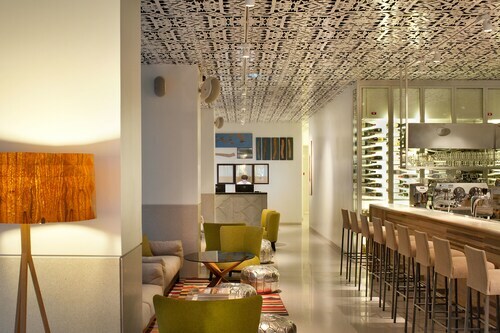 Try The Norman Tel Aviv (23-25 Nachmani Street) or The Ritz-Carlton, Herzliya (4 Hashunit Street). One of the best aspects of any trip to Tel Aviv is Azrieli Centre. 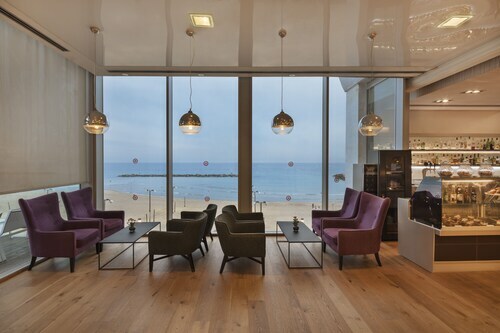 If you'd prefer to stay within easy walking distance of this famed attraction, the Crowne Plaza Tel Aviv City Centre and the Vital Hotel, Tel Aviv-Business Boutique Hotel are both great options. No one loves waiting around at the airport. But it's a small price to pay when you remember the trip that's in store! Located 7 miles (11 km) southeast of Tel Aviv, Ben Gurion Airport (TLV) is the most convenient terminal. 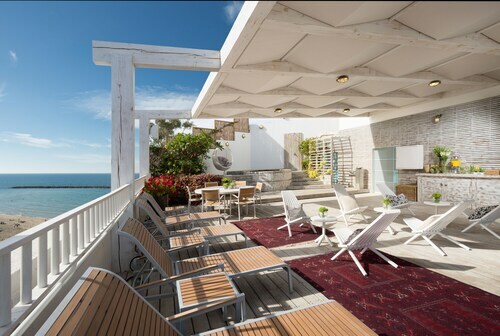 Relax along the Mediterranean Sea on one of the most popular beaches in Tel Aviv, characterized by golden sand, plenty of amenities and space for everyone. Tour this unusual museum without artifacts or documents at the contemporary headquarters of the former underground army of the Jewish community. Set aside plenty of time to explore a vast and fascinating museum that digs into the archaeology and history of Israel through artifacts and artworks. 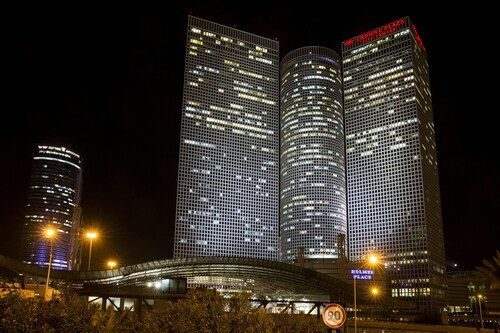 Surrounded by modern high rises, Tel Aviv’s biggest square stands out because of its solemn character and its historic significance for Israel. Enjoy a stroll along the boardwalk, dine out in style and then party with the locals at a trendy club in Tel Aviv’s reinvented former port. One of the largest markets in Tel Aviv is also one of the most exciting, a dizzying collection of food and clothing vendors, full of noise, color and energy. Browse markets and galleries, watch a unique theater show or simply enjoy the views of the Mediterranean at one of the most famous ancient ports in the world. Swim in the Mediterranean Sea, surf the waves, play a game of beach volleyball and enjoy the relaxing nightlife vibe of this popular beach at the heart of Tel Aviv. Set atop a central hill, this national institute and museum has some of the best views of Tel Aviv. Its museum provides a gripping journey through Israel’s past. See a performance in Hebrew, browse the archives or simply admire the grand architecture of Israel’s shining national theater in the heart of Tel Aviv. See the fascinating artworks and eclectic furniture in the ancient hilltop home and museum of one of Israel's best known artists. Find your own patch of sand on one of the loveliest beaches in Tel Aviv, a waterfront destination popular among both tourists and locals. Visit an elegant, scenically situated church, famed for its location near an ancient port where key biblical events took place. This architectural gem of a museum houses some of the finest art collections in the Middle East, from classic to contemporary. Explore the impressive home of one of Israel’s most celebrated poets for a glimpse into his private life, poetic works and cultural interests. One of the most eye-catching modern buildings in Israel is also one of its most intriguing museums, packed with exhibitions dedicated to contemporary design. Spot the minaret of Mahmoudiya Mosque, Jaffa’s largest mosque, from almost anywhere in Tel Aviv. Get up close to the mosque to see its decorative features. 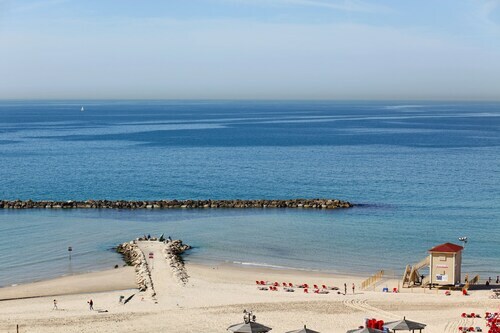 This long stretch of pristine white sand is the perfect place to relax and escape the busy streets of Tel Aviv. Standing at the edge of Tel Aviv’s Yafo or Jaffa district, this historic clock tower is a major landmark of the area. Escape from the noise of central Tel Aviv to a relaxing park famed for its dramatic sculptures and high vantage point over the city. Located on the ground floor of the Tel Aviv Diamond Exchange, this museum explores Israel’s position at the center of the world’s polished diamond trade. Loved that it’s right by the beach, super clean, staff is super nice and helpful, and any concerns are addressed immediately. The staff is incredible!! Excellent service. Tal at the concierge is the best. staff helpful. great restaurant. rooms comfy, nice amenities both in bathroom and hotel. excellent facility and staff .... unfortunately the advertised free airport shuttle is only available from the hotel to the airport, the taxi to Sadot cost $50 US - surprise! Very close to the city center. Very convenient location. Help with local information can be improved.